Get Up and Down From Anywhere. The MD3 Milled Wedges have 3 grinds and 3 grooves to give you the versatility for every shot, course condition and swing. We’ve developed 3 unique grinds to suit the shots you hit, the courses you play and the swings you make. It’s the versatility and selection you need to get up and down from anywhere. Choose from a wide selection of shafts, grips and finishes to make the MD3 Milled your own. We’re bringing out new 50° and 52° lofts in the W Grind, with cambered soles for improved turf interaction and a controlled trajectory. 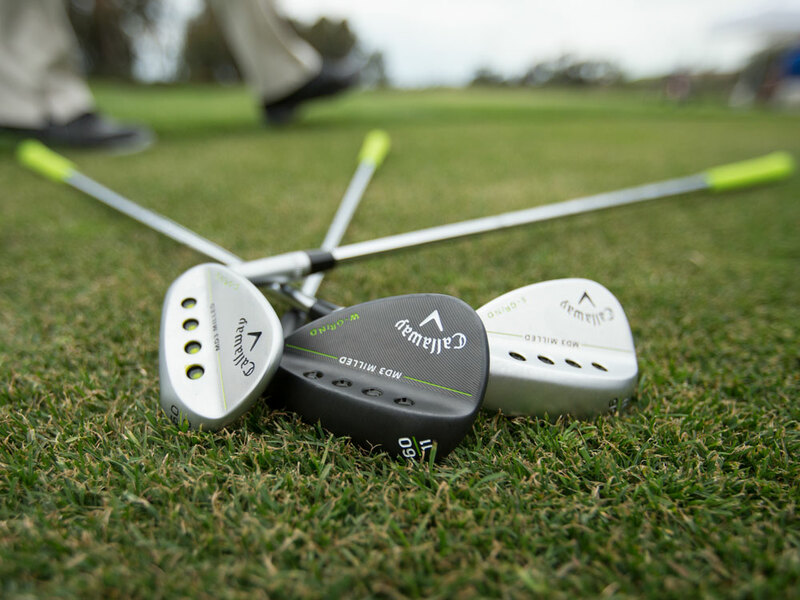 Now you can flight the ball low and make aggressive swings with your gap wedge. MD3 Milled Chrome Wedges is rated 4.7 out of 5 by 175. Rated 5 out of 5 by Lobwedge from Great Wedge I have mainly used Vokey Wedges over the years but arthritis has led me to graphite shafts. Saw a graphite shafted 58* for sale here at a good price and decided to give it a shot. Overall I am very impressed. Great spin on partial shots. Nice head shape with a versatile s-grind. Shaft does run a bit more flexible than i would have expected but has not been a performance issue. Rated 5 out of 5 by Bradley from Very good purchase I chose a 60* and 56* wedges in satin chrome finish. I had already owned a 46* wedge in satin chrome and was happy with it so I decided to round out a wedge set to match. I prefer the look of the shiny chrome look over black and they look great at address, easy to clean, and look great all around. The standard shaft and grip are serviceable for my game and I have no complaints. I feel very confident with these wedges and where the ball will land. The flight and distance is very consistent, and I look forward to using these on each of the holes because they are easy to hit and I have the ball zeroed in. 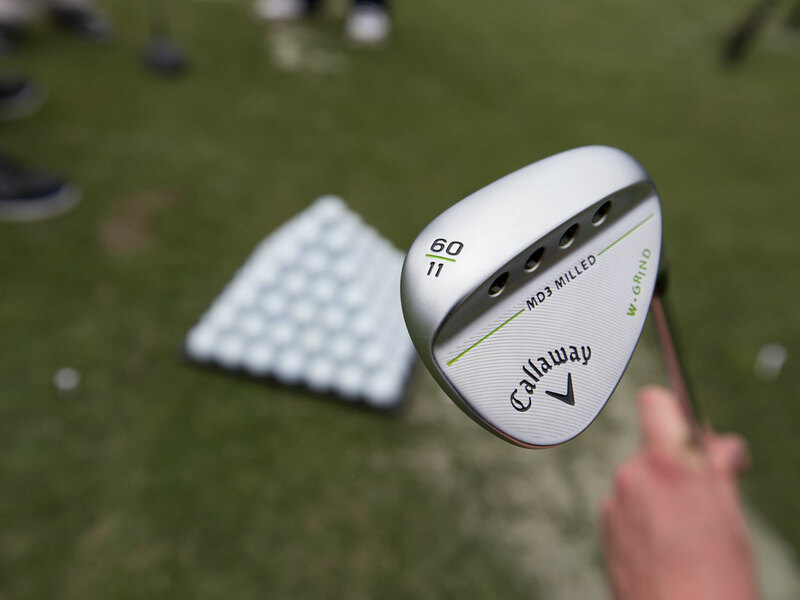 I love Callaway products and these wedges do not disappoint. I chose the S and W grind for the 56* and 60*, respectively. I am, by no means, an expert on grinds but the swing I possess seems to suit these wedge shapes. I based my decision on the grind info Callaway posted with their wedges and I am pleased with what I chose. I wouldn’t hesitate to buy these again. Rated 5 out of 5 by Tad from Great fit! I was able to find this wedge in the same length and lie as my fitted clubs. Perfect. Rated 5 out of 5 by Stan the Man from Love this wedge I love my new MD3 wedge. It has a heavier head than my previous wedge. That give me great feel around the green for those delicate shots. The grass doesn't grab the head as much and gives me more confidence going over obstacles. Rated 4 out of 5 by Jason W from good feel around the greens got the 60 degree W grind. good feel around the greens, definitely wouldn't recommend to new golfers, took me a while to learn how to hit but now they're awesome! 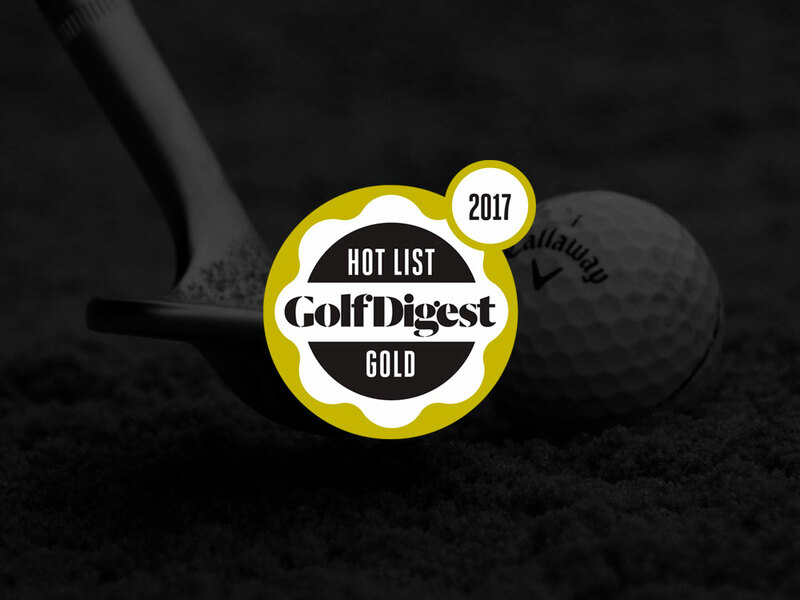 Rated 4 out of 5 by RDG from Nice wdges I traded my XR A wedge, sand wedge and lob wedge. The MD-3 wedges play better for me. Rated 4 out of 5 by Golf fanatic from 52 degree wedge I have played several rounds with wedge. Great playability around the greens. Would definitely buy another wedge.